So much has happened since the first National Selection Regatta! As I mentioned, Sarah and I went up to Boston to do some race pieces with the lightweights at Riverside. We got the crap kicked out of us, came home, trained hard, and went to NSR2... and came in fourth! ... but not where I want to be. The next step was deciding summer plans. In late June, the first round of World Championship Trials will be held in Princeton. The LW1x and LW4x will be decided at that regatta. 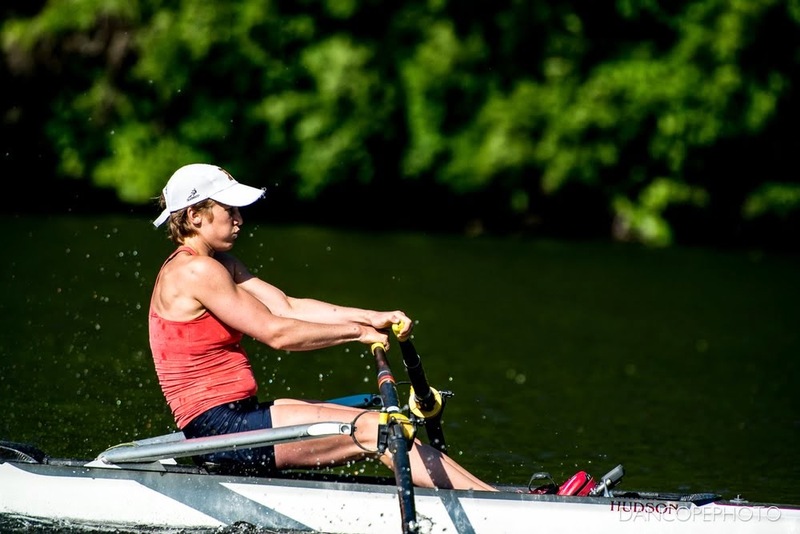 After many discussions, Vesper Boat Club in Philadelphia became the prime destination for a camp to put together a lightweight women's quad. I definitely considered attending. I've come a long way since last summer, and I think I could have clawed my way into a seat in the boat. I expect the boat that comes out of the United States this summer will be blazing fast. Ultimately, though, attending the World Championships in the quad is not my goal. Looking at the bigger picture, spending the summer in selection and maintaining a super low body weight isn't going to get me where I want to be. It was a difficult decision, but I'm going to be spending the summer training independently at GMS. I will race the single at the Worlds Trials later this month, with no illusion of winning. (That "untouchable double? They split into singles and will both be racing at Trials.) And I'm also going to push the boundaries of what I can do in a week.. every week. I've been crushing my weight lifting (I'm now doing pull-ups with an extra 5 pound weight), working on boat feel and putting in tons of extra volume. Those are super ambitious goals, especially the first one. (My current PR is a 7:22.1 at 57.5kg.) But the more ambitious my goals, the fewer excuses I have to joke around this summer. Now is the time to see how fast I can go! What are your summer plans? Racing, training, both?